The STL-Plus is a comfortable, lightweight and very durable boot featuring a reinforced toe and heel area. 28 spikes included. In the very durable felt sole the STL-Plus has 14 threaded synthetic inlets into which spikes can be quickly screwed. 28 Spikes are included with the boot. 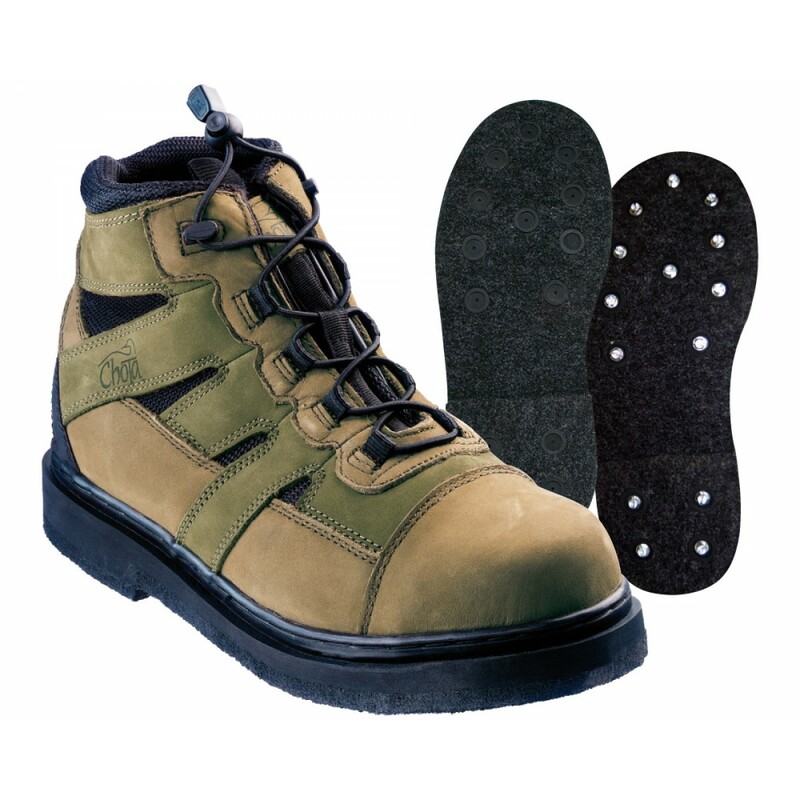 The STL-Plus is a comfortable, lightweight and very durable boot featuring a reinforced toe and heel area. The padded cuff and soft tongue enhance the comfort of this boot. Unique "Micro-Screen" ports allow for rapid and complete drainage while blocking out scree. The leather upper is specially treated for water resistance. The large synthetic (saltwater resistant) eyelets combined with the "Quick-lace-system" allow a simple and quick lacing of the boot.